The time has come to choose your honeymoon destination. You want to make it as memorable as your special day. Known for its peaceful and pristine landscapes, stretches of beautiful beaches and river system of emerald waters, Kerala in Southern India is increasingly becoming a popular destination for brides and grooms to be. You will find it a great place to relax and continue the romance. Kerala is known for its romance as the country has beach side resorts, sprawling hill stations, spice, banana and coconut plantations, lush paddy fields and even an array of wildlife to watch. Indian tourism shows that Kerala is a state well set-up to cater for travelers There is a range of accommodation and tours on offer. With all the wedding preparations to think about, you may find it a little overwhelming in working out your honeymoon needs. It is a good idea to consult with an experienced travel agent who will be able to help you plan your honeymoon to Kerala, such as India Trips. They can help cater to your needs and will be able to make sure that your honeymoon is full of all the best highlights. Most people land in Cochin, the capital of Kerala. You could start your honeymoon with a day or two exploring the city. Weave your way around the tamarind scented streets and see the Jewish Synagogue, Mattanchery Palace and famous St Francis Church. It is also exciting to see the drama unfold in the traditional spectacle of Kathakai Dance. But if you want to start relaxing, kick start your honeymoon with an Ayurvedic beauty treatment. It is the perfect way for you to reenergise after your wedding. Ayurveda is an ancient Indian healing system that uses a range of treatments including yoga, massage, acupuncture and herbal medicine to encourage health and wellbeing. It helps to detoxify the body and balance the three vital energies known as doshas. Once you have got your balance back on track, hop on board a traditional houseboat (kettuvallams), and cruise along the calming Kerala back waters. You will love relaxing and watching the world of the Kerala Backwaters unfold. A network of interconnected canals, rivers, lakes and inlets, the backwaters are a labyrinthine system consisting of more than 900 km of waterways. Entire backwaters are a number of towns and cities which serve as the starting and end points of backwater cruises, and are good spots to enjoy. One of the waterways, National Waterway No. 3, covers a distance of 250 km from Kollam to Kottapuram. The houseboats are not just for tourism, they are also working waterway. You will see grains and cargo along the way. The Kerala backwaters are unique, an ecosystem where freshwaters from the rivers meet the seawater from the Arabian Sea. There a range of unique wildlife species - look out for otters and turtles, crabs and mudskippers, kingfishers and cormorants as you cruise through the lush landscape. Kerala is a wonderful place to honeymoon, and start your married life together. Many thanks or fallow me. Many thanks for your valuable comment. I am happy to see you here. I also visited the valley recently with my family. Done my bookings through searchmyhotel.in. they drafted an amazing reasonable deal for me. Enjoyed the scenic beauty as well as awesome weather all in budget. Kerala is a beautiful destination to visit for Honeymoon, This city is one of the most important destination around India. 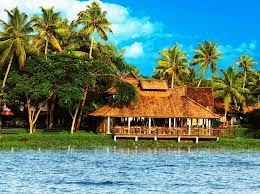 Kerala is perfect honeymoon destination because of its beautiful beaches and tremendous greenery, i just love this place. I dream to be visit that place once in my life. Yes dear. Kerala is known mainly for its back water and fabulous beaches. I am also want to visit this amazing destination. Thanks for your comments. Thank you for providing this informative blog post. Kerala is indeed a very charming destination to cover in south India. Himachal Tourism is blessed with several hills such as kullu, manali, shimla, dharamshala and dalhousie. Indeed a very nice and informative post on kerala. It is really God's own country and god has blessed it with breathtaking and charming natural beauty. If you are interested to visit the place with abundant natural beauty and hills then Manali Hotels too has more to offer you. Damdama Lake located in Gurgaon is an awesome place where Adventure Activites, Outdoor Games, Events and Team Outing are held. Many thanks for adding your suggestions. Happy to see your around my blog. Keep in touch dear.... for further interesting updates. I'm happy to see you around my blog site. Your site is very informative and useful for all traveler who wants to plan their next vacations in Sikkim. I'm really glad that you enjoy this post and find very informative and useful. Have a nice weekend !!! I like yourpost about Kerala, being a scenic and beautiful place in India which is blessed with immense natural beauty. just wanted to tell you, I enjoyed this blog post. Thanks for adding such a valuable comment under this post. Happy that you find this informative. Keep Visiting. Damdama Lake, Day Picnic Around Delhi, Resort in Gurgaon, Holiday Places Near Delhi, Picnic Places in Gurgaon Comment Thanks for sharing good information ! I Love Your Comments, Please Speak Your Mind...., Feel free to share your thoughts. Hello... To all friends, I hope you all are very much aware about the Mata Ashapuri. Which is located at the top of the hill in tehsil Palampur (H.P) Himachal Pradesh. 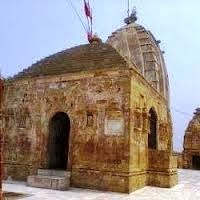 This is one of the very famous temples in district- Kangra. It’s comes under those temples which was built by Pandavas when they visit Himachal Pradesh during their “Ban-bas” time period. Distance from Palampur to Mata Ashapuri is 25 KM. It will take hardly 2-3 hours from Palampur to Ashapuri. There are also bus services or you can hire a Taxi from Palampur. On the way you can see The Ashapuri is surrounding with green hills, small rivers, small waterfalls etc which gives you full peace of mind and unbelievable journey experience. I’m sure if anyone will visit to Ashapuri he will never want to come back to his home, because it is situated on the top of hill so it will give you eye catching views which you will never see before. You will feel like the real Heaven on earth. Holi is one of the popular festivals not only in Himachal Pradesh but also in the other parts of India. This festival is celebrated every year in February end or early March. 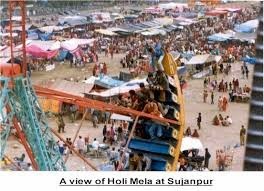 As you all aware that Holi countdown is already stat and there are few days left to the majestic festival. This year this festival is celebrated in 17th of March. As we all know this festival basically of colours. It is the symbol of love and peace. Himachal is a land of festivals and fairs may be here any month without any fair and festival, every month there is festival with fair held at different regions of India. Here I am find some of the photos of Kangra Valley, Kangra Valley Photos with these photos you can see the some of the tourism places in Kangra Himachal Pradesh. You can also see some of others pictures here like Folk dance pictures which shows the culture of Kangra Himachal Pradesh, Religious places snaps, as well some of other places. You really enjoy these pictures. Folk Dance:- Folk dance is famous in Kangra Himachal Pradesh which shows the culture of Kangra. Jhamakada is a group dance performed in Kangra. This dance is exclusively performed by women. The dance is accompanied by a variety of striking instruments and lyrical songs. In different-2 songs different dance will be. These dances really show the exact culture of Kangra Himachal Pradesh.